“We are not looking to get into politics,” said NFL commissioner Roger Goodell as the National Football League rejected President Donald Trump’s calls to punish players who kneel for the national anthem to protest racism. 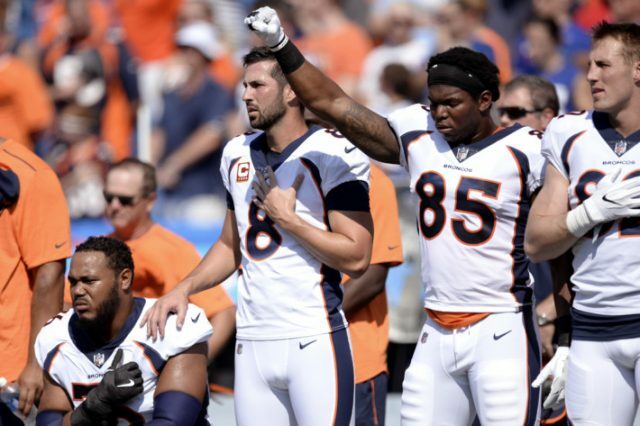 Goodell said players “should” stand and he hopes the demonstrations will stop. Goodell declared he will take a more patient approach than the one urged by the U.S. President: Rather than using discipline, the league will continue to nurture players’ efforts to fight racial disparities in the criminal justice system, believing this would make the urge to protest fade. As the owners said that while they knew some fans were unhappy with the protests it was important for them to listen to their players and the reasons they have been protesting, Trump did not appear to be backing down. He continued to harangue the league for not doing more to force players to stand. Goodell and several owners declined to address the president’s remarks directly. Instead, they tried to reinforce the notion that the owners and the players respect the flag and the military, but that the few players who continue to protest during the anthem have a right to express themselves.